Maddy and her cousins are ready for battle. War in the faerie realm threatens to spill into the human world. The three cousins are determined to protect all they love from the Tuatha, the fearsome faerie leaders. 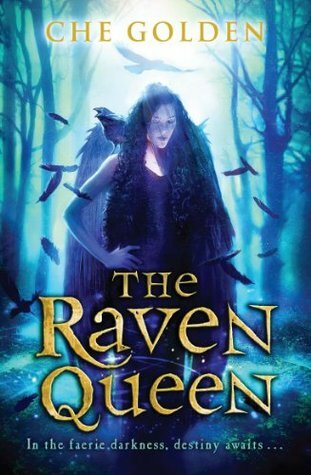 As the Morrighan, the supreme monarch of the Tuatha, awakes, Maddy realises she's going to need more than just physical strength and luck to survive. The Tuath are notorious tricksters, and Maddy will have to outsmart them for good - or else plunge two whole worlds into the darkest chaos. This is the third book in "The Feral Child Trilogy," and it does not fail in holding up the legacy that the first two book started a few years ago. You have faeries and humans and the worlds are on the brink of intertwining and wreaking havoc with loads of destruction. You have Maddy and her cousins that are the only force that stands between this terrible event happening. Throw in some awesome references to irish folklore and the inclusion of magic all over and you have a fantasy story built for greatness. I really liked the Morrighan in the story. The Morrighan has the aggressive yet patient evil personality down so perfectly, and the author does a stellar job at making them scary. From taking command of the room, to preparing for war, this is a great character in the story. If there is something that could be said time and time again about this book, is that it is great at laying the tension on thick. You will be reading and feeling the discomfort that the characters are feeling. It just makes the book and environments feel that much more real. You need to read this book! Updraft by Fran Wilde: Interview and Giveaway! Under His Skin: Cover Reveal and Giveaway! MILLY x LUCKIEST GIRL ALIVE SWEEPSTAKES!